Ideally, human beings are supposed to visit a dentist twice a year. 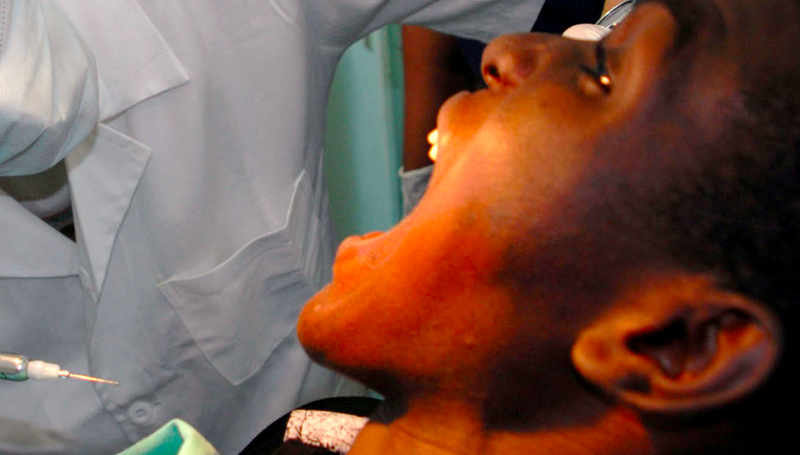 For many Ugandans, a visit to the dentist is when the tooth gave you a sleepless night. Whilst we don’t take oral health as a priority, we also think that most dental services are expensive and the word dentist is associated with pain and unpleasantness because our first encounter with the dentist involved pulling, chiseling, screwing and screaming. That shouldn’t be an excuse for not visiting a dentist. “Oral health neglect is expensive,” says Dr. Mugabe Steven a dental surgeon at Code Clinic. Most of the time when the tooth gave you a sleepless night, probably it is beyond repair, so that will require either, extracting it, putting a crown, root canaling etc. It is key to note that while a regular check up costs about 20,000 Ugx every visit yet a root canal will go for about 500,000 Ugx. Well, you might say that you have the money and can afford to repair your teeth, here is another reason you ought to visit the dentist regularly. A recent study has linked oral health problems to heart diseases, Alzheimer’s disease, pneumonia, chest diseases, premature births, sterility among others. “The germs that cause some of the heart diseases can be found in the mouth and can cross into the blood system,” says Dr. Kalanzi Dunstun a Restorative Dentist. This means that if you do a regular check up, the doctor will be able to detect these problems before they escalate. For instance, the dentist is able to detect that a person has HIV for just looking at their mouth even before the person sees any symptoms. It is not only Ugandans that don’t prioritize dental health; the Government of Uganda also doesn’t think oral health is a priority because it is classified among the non-communicable diseases. – The last available data on the status of oral health in Uganda by the Ministry of Health dates as far back as 1986. The government gives priority to Killer diseases. so, just like exercise, healthy eating, regular dentist visits are an investment worth making. Thanks Prudence for the great article..u are spot on.